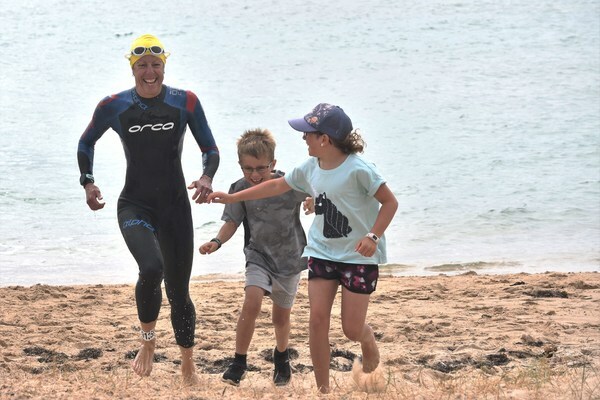 The hard work has paid off for Ocean Grove triathlon competitor Georgie Mervin after excellent performances at the Wreck2Reef Open Water Swim at Indented Head on Sunday 10 February. 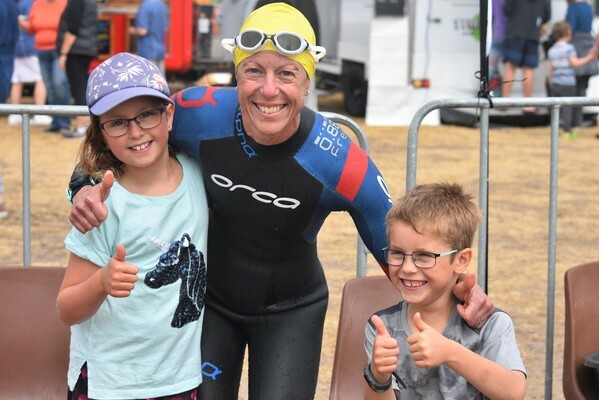 Mervin, the first ever 40-49 age group female winner of the inaugural Barwon Heads’ triathlon in 2016, was the fourth female across the finish line in the 2.5km swim in a time of 35:09. She finished seventh overall out of 75 competitors in the 2.5km swim. Mervin backed it up and took out the 40-49 female age category in the 1.2km swim in 17:56. She finished 20th overall out of 168 competitors which finished the 1.2km swim. Georgie is the wife of multiple Ocean Grove Football Club senior premiership player Greg Mervin. IN other developments, Ocean Grove Surf Life Saving Club competitor Kimberley Gilling finished third in the 17 and under category and came eighth overall in the 1.2km swim with a time of 16:50. THE Bellarine-based Wreck2Reef Open Water Swim which celebrated its 10th year anniversary, is a fundraiser for the Indented Head Yacht Club’s Young Tackers Program.